KORRITO just started their business recently in London. 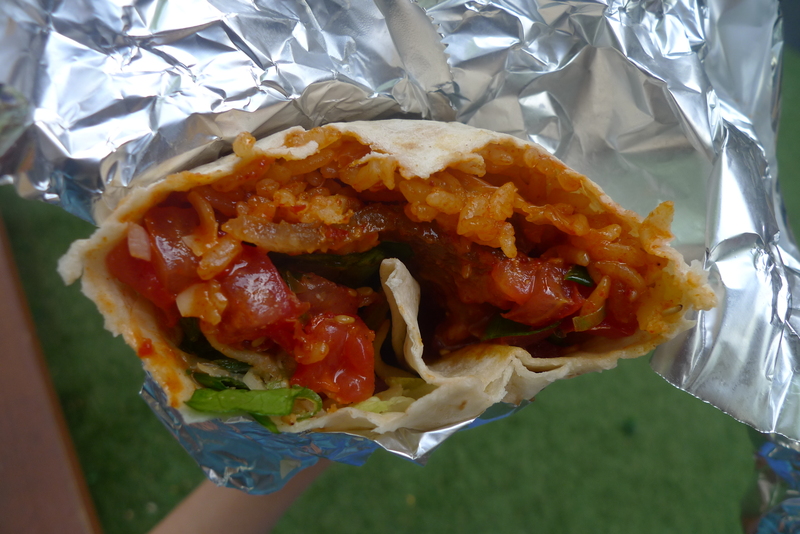 KORRITO means the mix of Korean BBQ and Mexican burrito. How did I hear about this? I heard from one of my friend that she had the KORRITO at the Southbank – Real Food Festival which is held behind the Southbank Centre. After hearing that, I was intrigued about what KORRITO has at their stall. So, on a Saturday early evening, I decided to try out the food from KORRITO with my friend. By the time we got there, the lady told us that the food was sold out. I was disappointed that I couldn’t get some but I knew that once the food was sold out means that the food is really good. 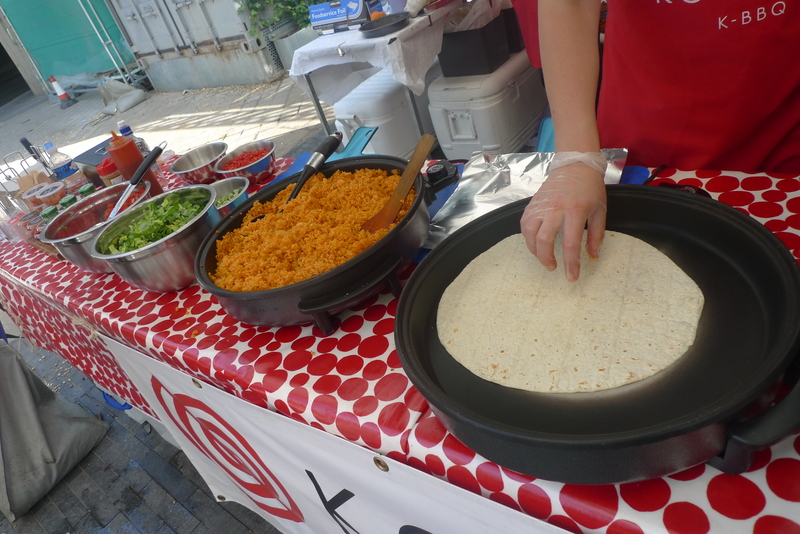 The next day, I came to the KORRITO stall during lunch time. As I arrived at the stall, KORRITO has given me three levels with different choices. 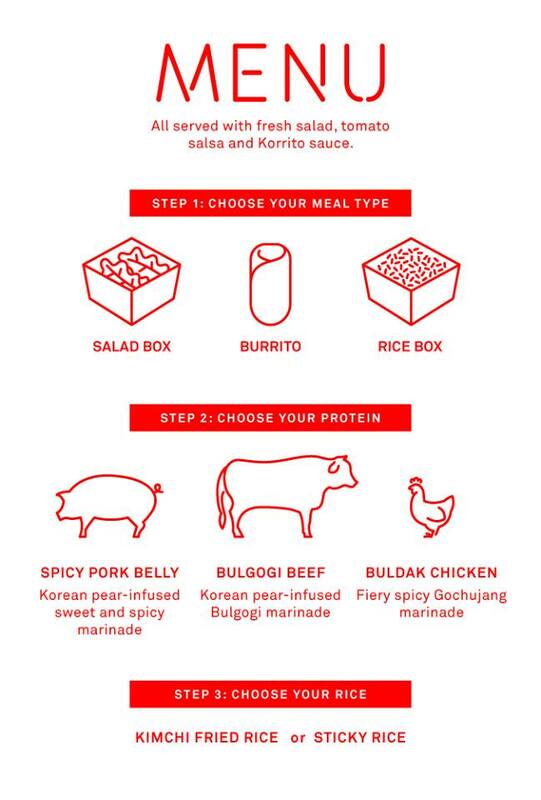 First, you choose the type of meal (salad box, burrito, or rice box). 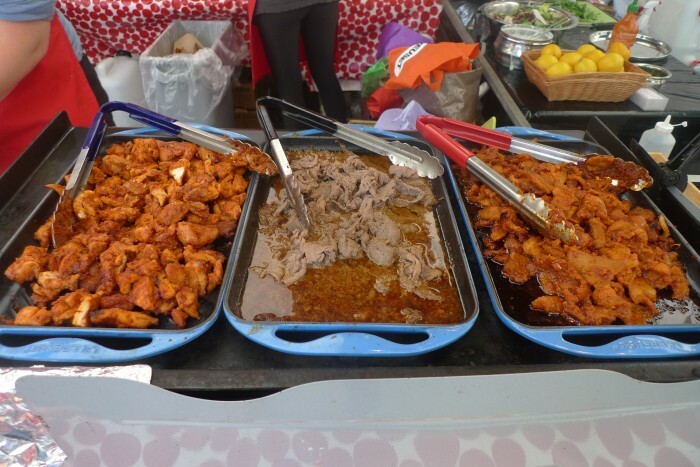 Second, what type of meat would you like in your meal (spicy pork belly, bulgogi beef, or buldak chicken)? These are based on the level of spice that you want to take. The chicken is the spiciest while the beef is not really spicy. Lastly, choose your rice (kimchi fried rice or sticky rice). The kimchi fried rice is quite popular among the customers’ choice. All meals are served with fresh salad, tomato salsa, Korrito sauce, and cheese. 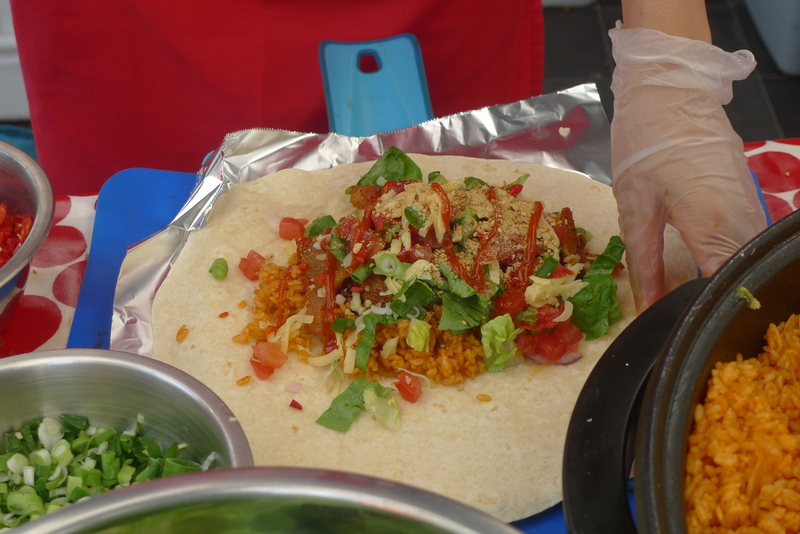 You can ask for some fresh chillies to be added in the burrito so you have some spicy kick from the taste. Since I came alone, I decided to have a “must-try” food from the KORRITO menu: burrito with spicy pork belly and kimchi fried rice. After making my choice, I waited for the staff to prepare the burrito. The burrito wrap is heated up before adding in all the ingredients. While waiting, my mouth was watering as I looked at the choices of meat from the BBQ. All the ingredients, including my choice of meat and rice, are put into the burrito wrap. It was wrapped up nicely and I couldn’t wait to try it. After having one huge bite from the burrito, I was “home”. What do I mean by “home”? The comfort food with authentic Korean ingredients and recipes. The ingredients was not overpowering and these blend well together. The spicy pork belly is mild spicy. I was still continuing to eat the meat and rice as I crave to fulfil my tastebuds. With the chillies, I can feel a bit of spice at the tip of my tongue. As I was eating the burrito, I felt the warmth of home comfort food with happiness. The burrito has filled in my tummy with satisfaction. The next time I dropped by at the KORRITO stall, I would definitely try other options. If you want a light and healthy meal, go for the salad. If not, try the rice meal without the burrito wrap. KORRITO also sells small pots of homemade kimchi and aloe vera. I would definitely say that KORRITO has made comfort and mouthwatering burrito that will definitely makes the customers wanting more. So, why not dropped by at the KORRITO stall for some burritos with Korean BBQ. It’s best to come earlier before the food sold out quickly. 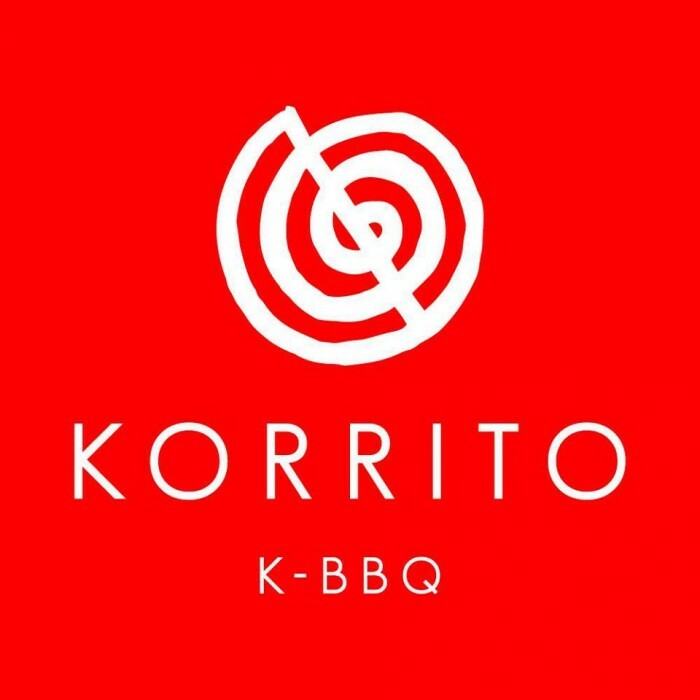 You can find out where KORRITO will be at through Facebook and Twitter.